Success, in today’s world, is an amalgamation of many factors that measure it. What matters, unlike the olden days, is how successful one is. It is relative and is impeded by the success of the competition. Stixis rightly acknowledges this fact and designed its delivery model to succeed. The current day market has very challenging tasks and targets to meet. The ride is very bumpy. Evidently, businesses are going through immense pressure to reduce the time to market and improve competitive superiority. As a result, it has become mandatory to launch new products and services in shorter time and exceed customer and user satisfaction. Stixis’ Global Delivery Model is designed and modeled to achieve exactly the same. 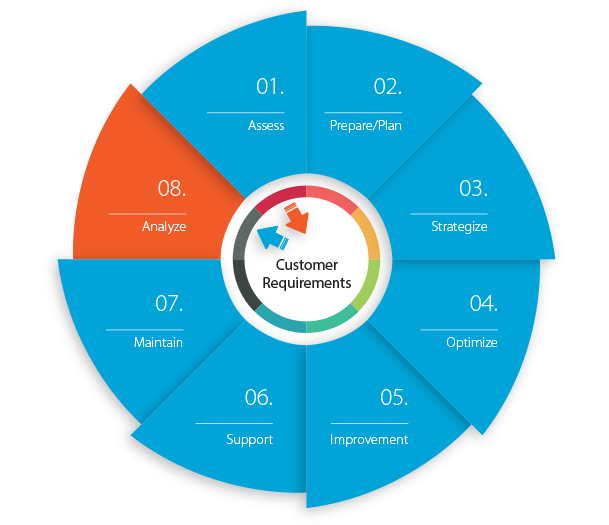 Stixis strongly believes in leveraging the existing strengths of its clients. Be it technology, processes, current market reach or existing customer base, Stixis’ delivery model recognizes them as stepping stones to success. It considers them as foundation stones and builds a successful delivery. 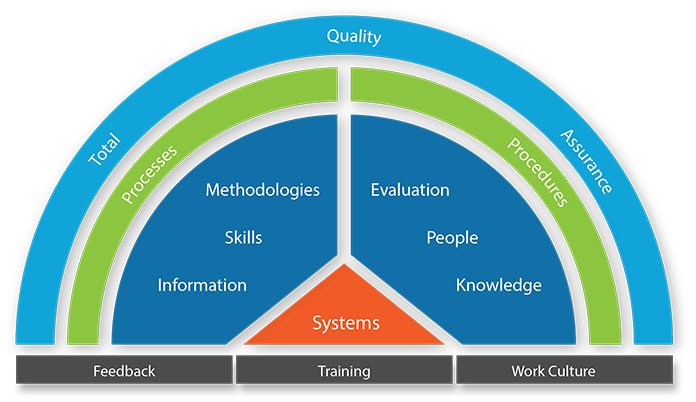 Our Program Management Framework is designed by encapsulating the best practices in Project Management Methodologies, Service Delivery techniques, Software development methodologies and quality processes to achieve Speed & Quality of delivery in addition to cost effectiveness and value for money and result in overall maturity in the Engagement we take up. The need to strategize and adapt to innovative ideas and implementation models is addressed in our Program Management Framework. Stixis’ project and program management staff are not only masters in PMI methodologies, they are masters in adding value to their customers. To be better than the others is an inherent human craving. It comes by birth. Stixis family intentionally has succumbed to this craving. This craving has given birth to the two independent functions of Stixis, the Knowledge Management and Improvement Group (MIG-K) and the Process Improvement Team (PIT). While MIG-K works on managing and improving the knowledge of every employee of the company, the PIT, as Stixis calls it, is a dedicated group of people that endeavor in ensuring that the processes are followed by every function and sub-function in the organization. It is the combined responsibility of both these groups to research, innovate, experiment, educate and enforce new processes and practices and bring about a positive change. Process Improvement Team, PIT, as the name suggests, is similar to a ‘PIT Stop’ in a Formula 1 race for every operating function of Stixis. So we proudly call it THE PIT STOP. Organizational Commitment – Improve Effectiveness through Continuous Improvement. We never say, "We are the best". We always say “We are an ever improving Family”. Only those who lust for improvement can become the best. Stixis is just that. 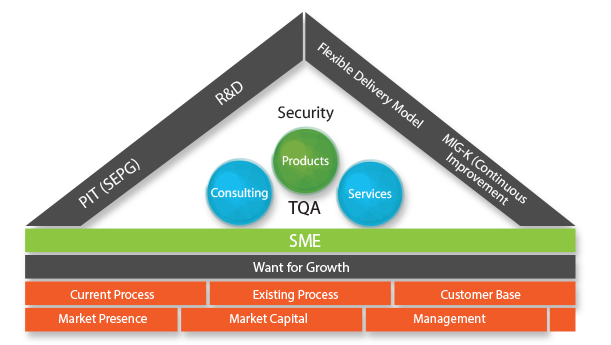 Total Quality Assurance (TQA) is what Stixis offers to its Clients to ensure quality and process driven services and deliveries. The principles of Total Quality Assurance adapted by Stixis are gelled strongly with the Organizational Commitment to Quality. Stixis believes that ensuring quality is an art and measuring quality is a science - we have mastered them both. » Keeping the internal and external customers satisfied.